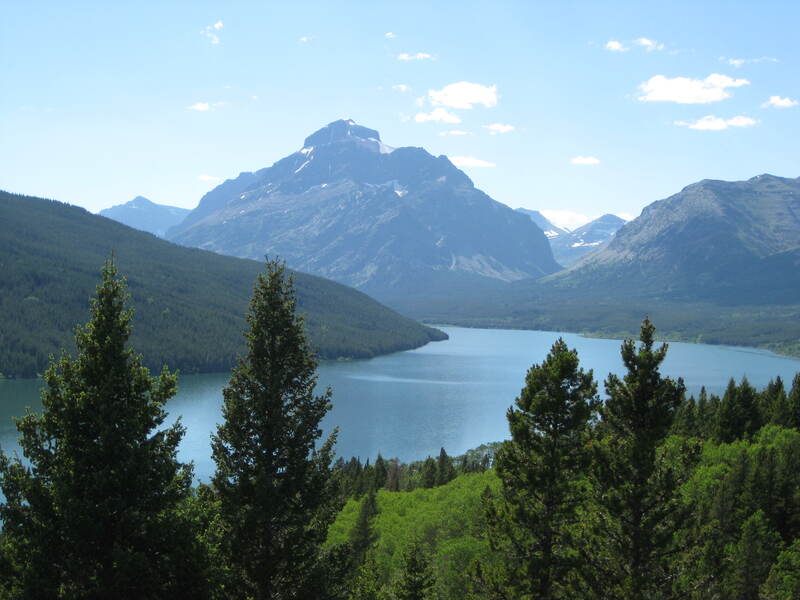 I have been working on a post of reasons I love Montana for a while, but decided instead to try it one by one–as they came to me–rather than trying to compile them all into a list or two or three. I love living in Montana, because wherever you seem to go, you meet someone who knows someone you know. It isn’t even six degrees…it is two or three at best. It is the nation’s biggest small town. Everyone knows everyone. Today, while at my acupuncturist’s office, we realized that she was married to a man who shared a house for a time with one of my very dearest friends from Michigan. These types of connections happen all the time. My husband works with a woman who is friends with the couple who used to live across the street. That couple rented their house to a man who is friends with my acupuncturist. These “threads” (to borrow a word from my acupuncturist) may seem likely in a small town, but they also happen throughout the state. The entire state of Montana is just a giant neighborhood. I love the fact that I can contact the president of the MEA-MFT and will usually get a personal response in an hour or less. I would never have been the one selected to go to Washington DC with other new National Board Certified teachers had I lived in another state. I love that our mayor was the one we hired to do site prep for our garage, and that his daughter was my son’s fourth grade teacher. She lives in a house built by the man who put the second story on our house. One of my favorite discoveries concerned a woman I was acquaintances with back in high school. Her husband lived across the street from my best friend when we were growing up and our mothers worked at the same insurance agency–all back in Michigan. Once Facebook really got rolling, I realized that Aimee and John lived just two hours south of us (which is the equivalent, more or less, of living on opposites sides of the same neighborhood, as John and I did as kids). Four Michigan transplants (my husband, me, John and Aimee)–four Forest Hills Central High School classmates–living a stone’s throw away from one another in Montana. I love that. There are so many more examples that simply aren’t coming to mind right now–I think I am still in meditation mode from my appointment earlier. And while maybe this isn’t that remarkable to other people, it just wasn’t something that happened often in Grand Rapids, Michigan. The “threads” weaving from one person to another provide me with a sense of belonging–that I am an important part of the web of human beings who populate this beautiful place. And that is a reason I love living in Montana. This is a good reason, too. This entry was posted in Montana and tagged Flathead Valley, Montana, six degrees of separation, small town. Bookmark the permalink. ← My How She’s Grown! It’s true, if you aren’t from Montana, you don’t get it. So glad you love it there. Your pictures make me miss home. Non-Montanans often don’t understand this phenomenon! I love it though. Me too! Are you from Montucky, too? Well…as a Michigander, I must admit I’ve pointed out to my students that creek is spelled with “ee”. lol…Pretty much the only one around here to call it Plum Creeeeek. Where in Montana did you grow up? haha, well feel free to keep your pronunciation 🙂 I’m from Helena. The pictures says it all! I’m glad you are enjoying Montana!